Cody Unser is an ambitious young woman who is rarely seen without her big smile. You would never be able to tell that when she was younger, she was diagnosed with Transverse Myelitis (TM), a neurological condition that injures the spinal cord, leaving her paralyzed and restrained to a wheelchair. At the time of her diagnosis, her physicians had little information about this disease. To raise awareness about TM, she and her mother founded the Cody Unser First Step Foundation, The New Mexico based non-profit has provided support for those who also suffer from various forms of paralysis. A large part of the foundation is devoted to helping those who are paralyzed to lead lives that resemble those they lead before paralysis. Prior to finding out she had TM, Cody enjoyed participating in water sports. 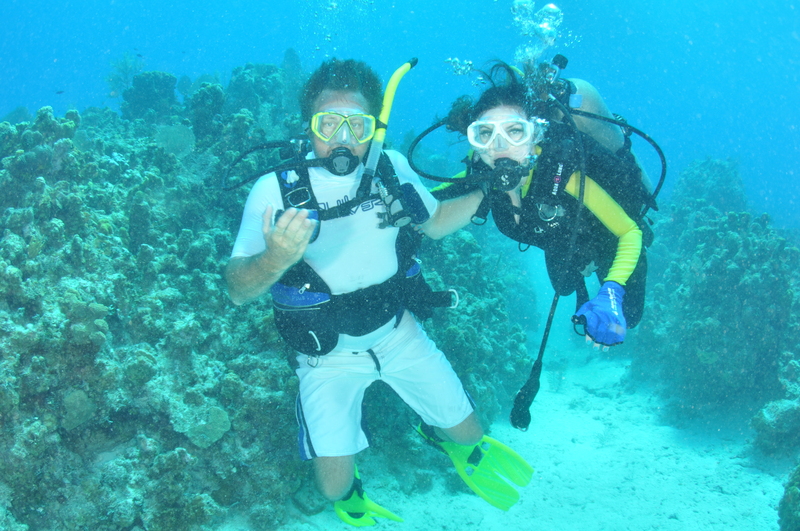 Since her diagnosis, she has found scuba diving to be not only therapeutic, but essential for maintaining a healthy lifestyle. She founded Cody’s Great Scuba Adventures, a branch off of her foundation that has helped paraplegics explore the positive neurological and physical effects of scuba diving. Because of her work in scuba diving, she has also participated in a research study in the Cayman Islands. Along with nine veterans, scuba instructors, and physicians, Cody studied the effects of scuba diving on the paralyzed body. The results showed that paraplegics had made sizable improvements after only a few days, improvements that only show after years with regular therapy. The results have given hope to those with limited mobility, and have encouraged more paraplegics to become certified scuba divers. Cody testing out the effects of scuba diving on paraplegics with an instructor. After graduating with a degree of Biopolitics from the University of Redlands, Cody is currently earning her master’s in public health At George Washington University. Even after accomplishing so much with her foundations and research on paralysis therapy, she still strives to make changes by still speaking about TM and helping further the research on scuba diving therapy. With so much progression in research for paraplegics and TM, she truly believes that there will come a day when she can walk again.